Discover the color(s) that speak to you. The Must, Reversible and Double bath rug collections are offered in 60 colors. Other solid colored rugs have a simple embroidery, taping or textured border. 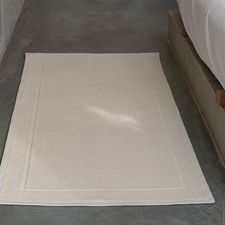 The perfect matching rug for your bathroom can be found here.